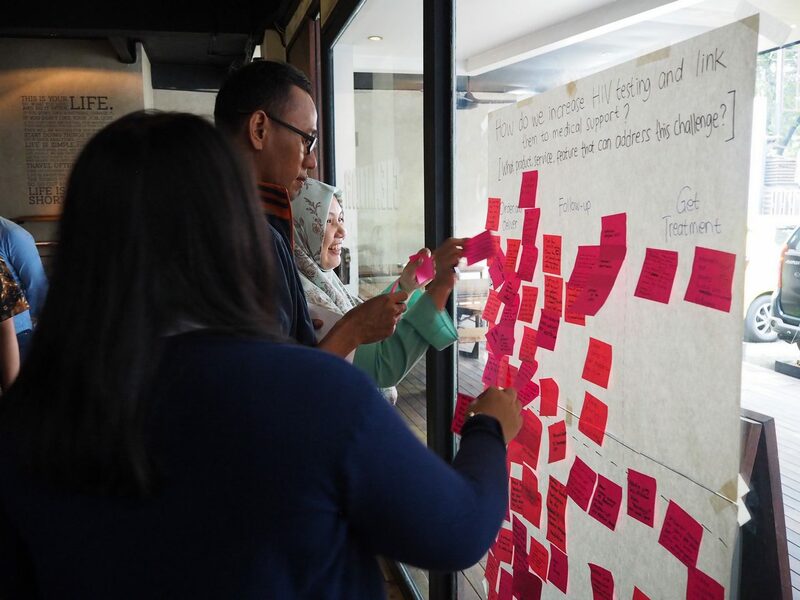 Blended with wide experience and understanding in social innovation and strong network in Indonesia impact community and the ecosystem, PLUS is in a prime position to be your partner to develop and execute programs that incorporate the best of social innovation and impact. The program will be tailored to the needs of your project agenda and infused with our industry knowledge. This program will be opened for local initiators (Impact Initiators) from Medan, Padang, Pontianak, Makassar and Jayapura. 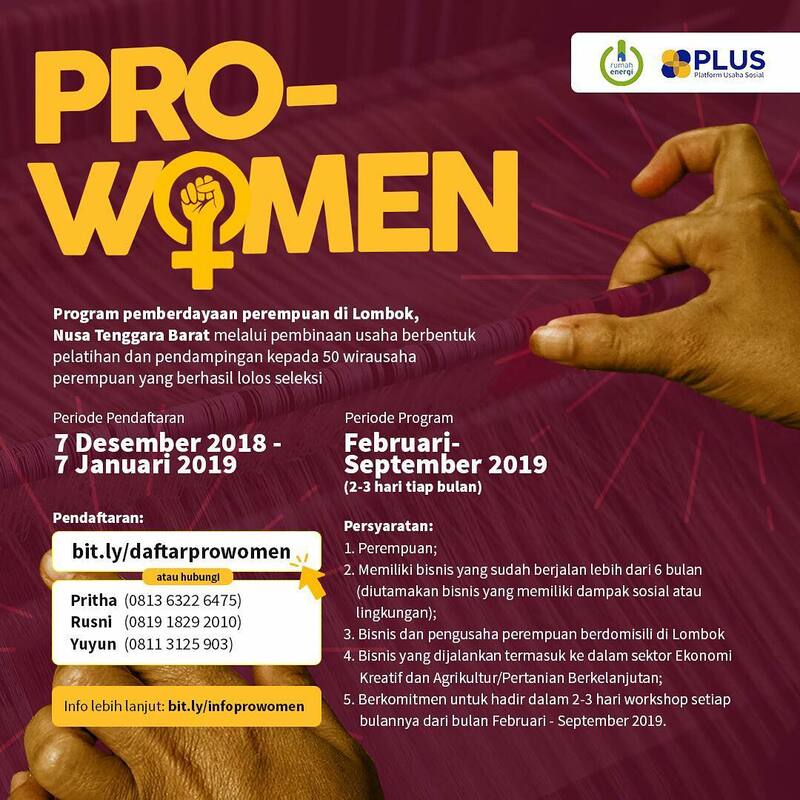 The PRO-WOMEN program aims to empower women entrepreneur in Lombok through business coaching, in the form of 2-3 days of training per month for 50 women entrepreneurs who have successfully passed the selection process. This program is tailored for those who currently running a business with at least one employee and have a willingness to grow. Our shared vision is to equip these women with skills and knowledge to sustain their business. The Co.Lab for Health Innovation is a collaborative idea generation event for social impact organized by PLUS and LINKAGES, a nonprofit human development organization dedicated to improving lives by advancing integrated, locally driven solutions. The Co.Lab included two events that included participants from the private sector (particularly social enterprises), civil society (CSOs) and from the LINKAGES team. 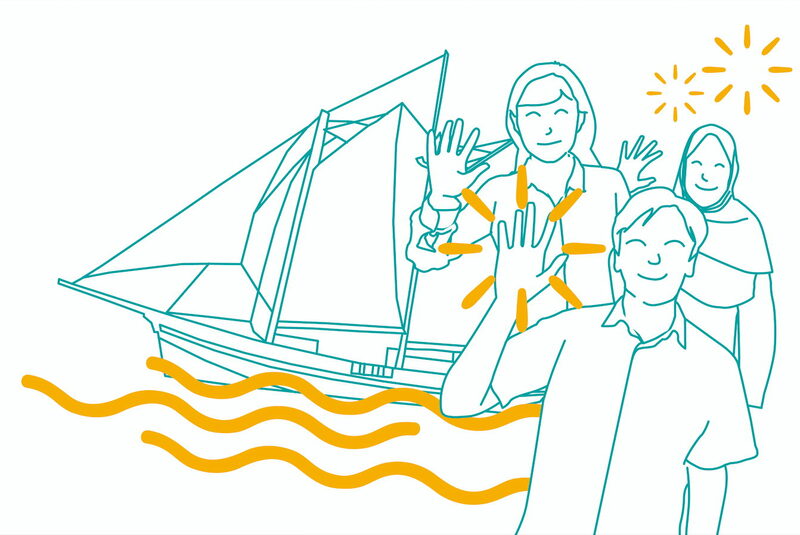 These events were intended to be an initial effort to “test the waters” and demonstrate the potential for both collaboration and innovation for HIV testing. The immediate purpose was to generate ideas that have potential for the LINKAGES team to carry forward.